As we began to examine in the previous post in this series, convicted Black Friday online poker payment processor Chad Elie’s connection to prominent gaming attorney A. Jeff Ifrah began as an adversarial relationship, not a friendly one. The relationship turned adversarial again this week when Elie filed a malpractice action against Ifrah, alleging negligence and misrepresentation. According to the DOJ, Chad Elie’s processing relationship with Intabill’s Daniel Tzvetkoff (pictured) dates back to early 2008. Elie and his Viable Marketing firm had experience with online poker before he and Jeremy Johnson started the Elite Debit processing through Utah’s SunFirst Bank. In 2008, Elie worked with Curtis Pope’s Las Vegas-based Selling Source operation, which included processing figures Andrew Thornhill, Jeff Nelson and Scott Clark, which in turn was part of the major Australia-based Intabill processing operation headed by Daniel Tzvetkoff. During 2008, some share of Intabill’s US-facing payment processing action on behalf of major sites was being channeled through Elie and Viable; the exact percentage has never been publicly released. In any event, a dispute over funds owed to Elie led Elie to go to California to seize control of a bank account in his and Viable’s name at the National Bank of California. Elie spun a romantic version of the tale in an interview for DiamondFlush last year, but the records show that after removing two other account signatories in October of 2008, he then took nearly five months to extract a total of $4 million from the account, out of more than $5 million in what were really Intabill funds. Elie’s withdrawals, what he claimed as payment for services due, appears to have represented the majority of the fractional processing reserve for this particular Intabill payment channel. All this took place as Intabill’s Daniel Tzvetkoff allegedly misappropriated a much larger amount, several tens of millions of dollars, from the same operation. The lavish spending by Tzvetkoff and Intabill co-founder Sam Sciacca didn’t go unnoticed by their US-based connections. The circumstances claimed by Elie in his DF interview are most curious, but it seems that the Intabill operation was in freefall in late 2008, and Elie took advantage of the opportunity to grab what he claimed was his. By 2009 the Intabill operation was effectively gutted, with PokerStars and FullTilt among those victimized, and accounting for most of the $100 million allegedly misappropriated from Intabill’s processing reserves. Stars and Tilt looked for explanations of where the money went, and several fingers were pointed at Elie and the $4 million he extracted from the NBC Viable Processing Solutions account. 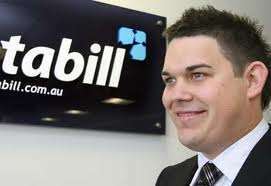 In June of 2009, Intabill sued Elie for the missing money, though there wasn’t much left of Intabill at that point; it was really Stars footing the legal bill. This is likely when gaming attorney A. Jeff Ifrah came into frequent contact with Elie. Elie never denied taking the $4 million; one account I’ve heard even has him bragging about it directly to Isai Scheinberg, PokerStars’ founder and primary owner. Yet he and Stars eventually reached a deal wherein he returned $2 million of the $4 million to PokerStars. DF: … I’ve been told that Daniel and Curtis and Sam just blamed you for taking the money and told PokerStars and Full Tilt that you were responsible for the fact that they couldn’t be paid. Is that the way that it happened? CE: Yes, originally that’s what happened. It was a great little ploy for them to make off with more time in what ended up being a big, big, huge theft of $ 100 million. My little aspect of things, my little amount of money, compared to that…they did this whole song and dance of look, ‘Chad has the money, and Chad has this and this is why you can’t get paid’… So Stars sent down attorneys and investigators to talk to me and I told them, “Hey, let’s settle this in, the facts are so crazy, let’s go to court.” We started going to court. Then they started to see the facts that ‘He didn’t steal, he didn’t steal this money. He was owed money.’ I was able to negotiate with PokerStars and said, ‘Hey look, out of good faith, let’s just do it 50-50. I’ll take a bite, you take a bite.’ That’s the bottom line and we settled. They knew both sides, what the facts were and in the meantime, Daniel and Curtis are making off with all this money. It was a huge ploy that they did, it worked for some part but didn’t work at the end for them. An interesting time. DF: You were not processing for PokerStars or Full Tilt Poker at the time? DF: And sometime after that settlement… although it appeared in the indictment, the charges against you from Black Friday, that that was all tied together? It was alleged that the agreement was made between PokerStars and yourself to settle on this on the basis that a quid pro quo that you start processing for them, but you’ve told me that that is not true, that it didn’t really happen that way, that it was two quite separate things and that one did not rely on the other? CE: Absolutely not. That’s just not how PokerStars would work…. The memorandum was signed by Arlo Devlin-Brown and Andrew Goldstein, two of the leading prosecutors in the Black Friday case being run out of Preet Bharara’s Eastern District of New York DOJ office. There’s a lot more in this memorandum as well that is of utmost importance in understanding the nature of Elie’s ongoing role in poker payment processing, and how he and A. Jeff Ifrah came to work together. Let’s pick it up here next post.